An abandoned and heartbroken puppy. A loved by lonely little boy. A couple who found a second chance at happiness. And a daughter who had always been catered to who wants nothing more than to see her long-divorced parents reunite – at any cost. All of these lives intertwine on the island of Nantucket. 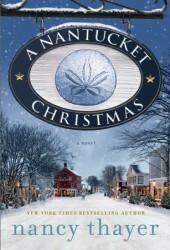 A Nantucket Christmas is a fast read, perfect for the holiday season. The setting is warm and welcoming. Shorter stories can sometimes be overly predictable with flat, caricature-like characters. But not A Nantucket Christmas. Rather, it is an engaging and heart-warming story to enhance the holiday season.